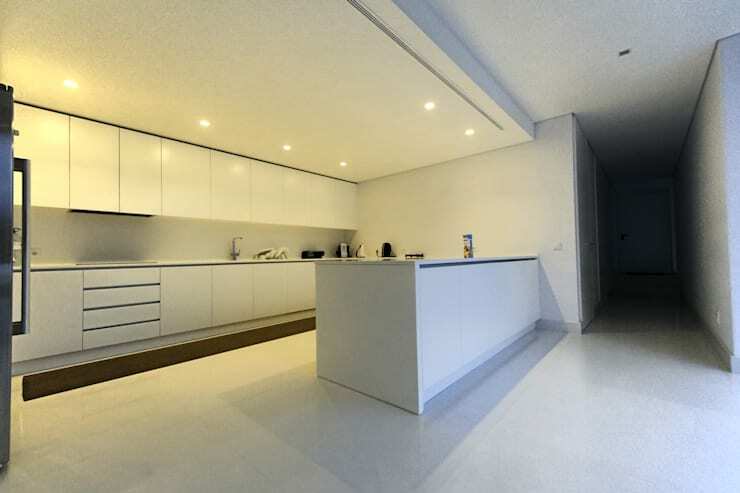 Choosing the right kind of floor for your kitchen can sometimes be difficult. 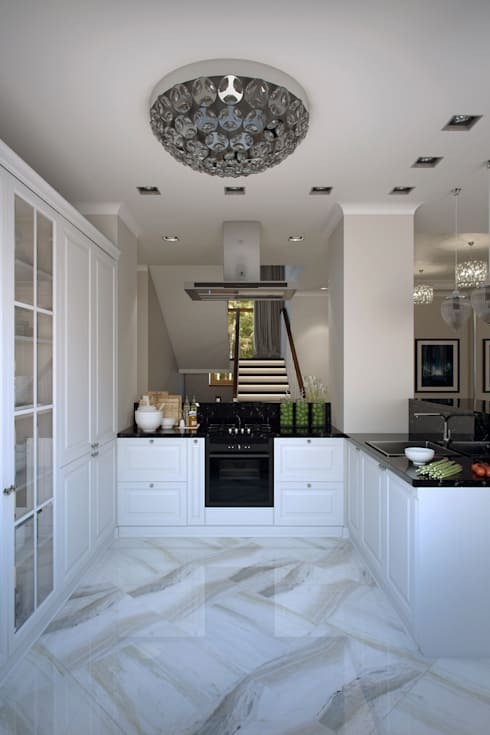 Most of us struggle to decide whether to go with the design aspect of a kitchen floor or its functionality. But what we often don't realize is that combining the two is pretty easy. A kitchen floor endures a lot of hardships usually. Unlike your living room, where you sit on the couch, a kitchen is a place where you consistently stand or walk. The floor also needs to be resistant to greasy stains, water marks, food crumbs and falling utensils, which narrows down your options. By considering these six different flooring for kitchen, you will understand that it is possible to have a strong ground which also looks beautiful. 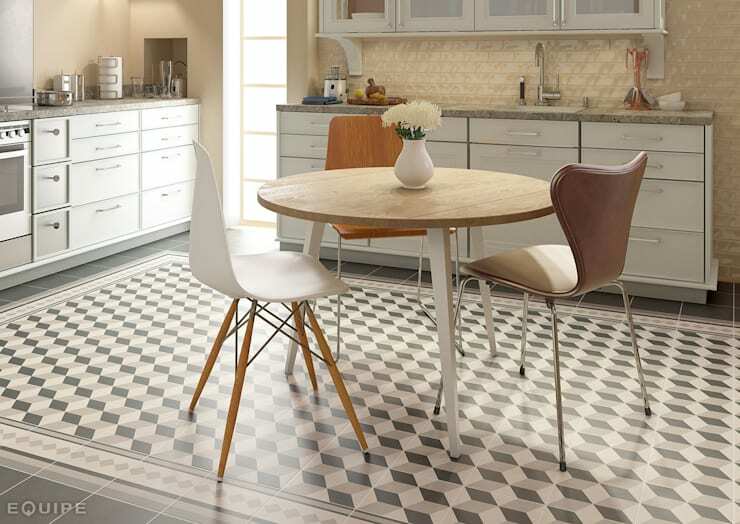 One of the classiest options for flooring a kitchen is designer tiles. In most German kitchens you will find the classic white ceramic tiles which are connected by gray joints. This simple design might not satisfy everyone's taste. 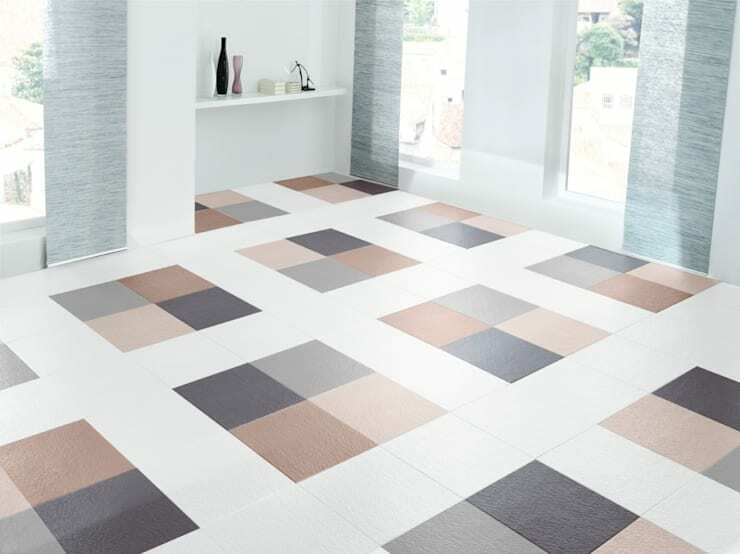 But the best part about using tiles is that they are available in different colors and patterns. The main thing to remember while choosing a floor tile is that it should suit the style of your kitchen and ensure an overall beautiful appearance. The reason why most people prefer tiles for their kitchen is that they are durable, easy to clean, and are regarded as extremely robust. But just to be on the safe side, it is advised that one pays attention to the abrasion group 4 while buying the material. One also need to understand that the more they pay for the tiles, the more longevity will they receive. Apart from this, tiles should also be glazed to make them resistant. This way even if one of them breaks, they are still easily exchangeable. The benefit of using tiles for your kitchen floor doesn't just stop here, they are also water and heat resistant, making them perfect for insulation. Along with this, tiles are insensitive to most household chemicals which mean they are safe. PVC kitchen floorboards are also as popular as tiles. The main advantage of using this material is that it is inexpensive and quick to install. Along with this, it is also durable and easy to maintain due to its densely welded joints. 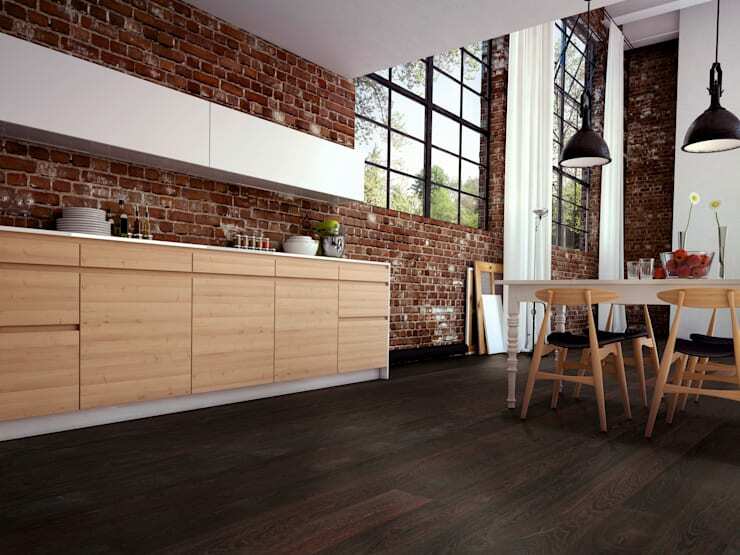 Another thing that makes PVC flooring for the kitchen a much-loved option is that it is shock absorbent. Similar to tiles, the more you are willing to spend, the better material you will receive, like the use class 22+ for example. With the increasing demand, these floorboards are now available in different designs, colors, and are also chemical free. PVC is generally made of stone salt and petroleum along with other natural fillers like chalk and limestone. It does not do not contain any heavy metal or lead making it 100% safe. Compared to PVC, linoleum is a natural flooring. It consists of natural raw materials such as linseed oil, wood flour, and jute. Due to this material combination, the floor is considered to be non-slip, anti-static and easy to maintain. The best part about using linoleum is that it can accommodate unusual designs and color, unlike any other material. These floors are meant to be laid out by a professional team using a special adhesive which gives it an extended lifespan. Not just this, but the silky-matt glaze of the material can also help prevent water seepage making it last longer. This flooring option is also highly recommended for those who suffer from different allergies as there is no chemical induced. Earlier on wooden floors were just used for living rooms. But due to its durability and good for room climate they are now being used for kitchens as well. Another thing that makes them an excellent choice is the comfortable atmosphere that they create within your kitchen. 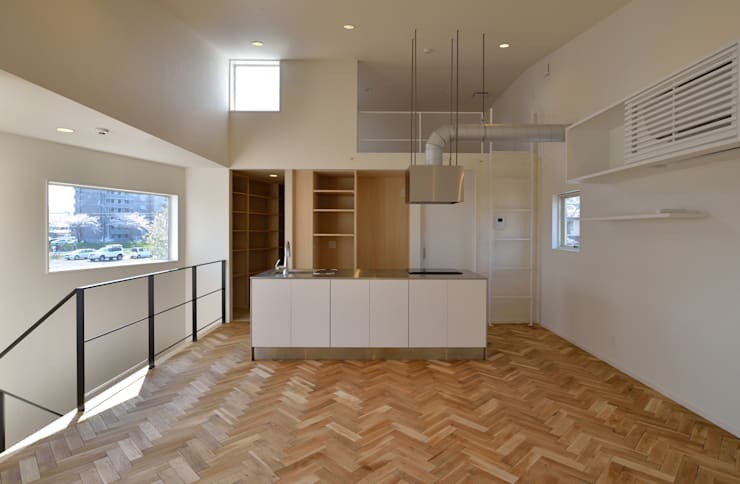 With the help of a parquet floor, almost every kitchen can be beautified instantly. While wood is considered the perfect option for a rustic kitchen, it also sets an exciting contrast when used with industrial style fixtures. Also, the individual colors and grain of each wood also bring liveliness into an otherwise sterile space. Even hardwood has its certain limitations, so a surface seal is a must to avoid any scratches or water stains. This flooring material should only be selected if you are willing to pay regular care and use felt pads on pieces of furniture like tables or chairs. The best alternative that you can find to real wood floors is laminate. Laminate is significantly more favorable because it is a thin sheet which is made out of different wood parts such as chips and fibers. These materials are compressed at an extremely high temperature and are later digitally printed. As the material is printable, there are different designs and color options available. The only thing that one needs to remember while handling a laminated floor is that it should not be cleaned with a wet wipe. Due to excessive water, the flooring might swell up and be damaged permanently. In addition to this, falling objects can also leave cracks in the material which would have to be repaired professionally. Another natural material that you can use in your kitchen is stone. These natural stones are considered to extremely study, which makes them a much-loved option. They are also resistant to water and solvent, therefore are a perfect match for the stress a kitchen floor endures. Depending on your taste and the decor of your kitchen you can choose out of the various natural stones available. Stones like dark granite are considered one of the hardest and more sturdy flooring material. Similarly, travertine is also a surprisingly dense material, which is a kind of porous limestone, available in various sand color variations. Lastly, another famous natural stone is marble. However, marble is much more sensitive when compared to other stones like granite or travertine.